By the time I had finished playing through the original Corpse Party I was ready to hit up Google’s image search and stare at images of kittens, rainbows, penguins and other assorted happy imagery. The original Corpse Party was disturbing, gross, horrific and a number of other adjectives I could use to describe an experience that would leave most people ready to vomit in disgust. Yet, I loved it. I loved nearly every moment with Corpse Party and I can pretty much say the same thing about Book of Shadows. Book of Shadows is just as disturbing and gross as the original. In some ways more and in others not as much. I don’t think there’s a specific moment in Book of Shadows that’s going to haunt me in the same way that the original did but that doesn’t make the contents of the game and its story any less effective. 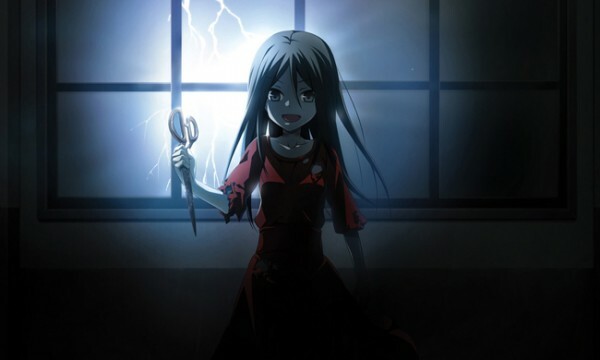 The thing is the original Corpse Party had a specific moment in which you learn what truly happened to the kids of Heavenly Host Elementary, that was not only hard to stomach but made me truly wonder why I didn’t shut my PSP off immediately. That one moment legitimately haunted me for a few day afterwards. Book of Shadows doesn’t have a moment that goes as far, but it does have a few that will honestly leave you feeling quite disturbed and mostly for the same reasons that the original did. Corpse Party: Book of Shadows once again places a major emphasis on sound design as well as visual cues. You will rarely actually see what’s happening to any one of the many unlucky students who have found themselves trapped in Heavenly Host Elementary. There are a handful of portraits that’ll show up on screen that will have a rather gruesome image but even those are never quite as detailed as the sounds you’ll be hearing. Just as in the original, Book of Shadows will mostly show a black screen or perhaps an image that doesn’t entirely show what’s happening as it describes in excruciating detail what horrific fate any one character has met. In addition to these descriptions that can be hard enough to read at times you’ll also hear everything that happens. In one moment you might be in the room of someone who is having their tongue ripped out of their mouth. You’ll hear that person gagging, struggling, and even fighting to break free. After moments of fighting that feel like agonizingly long minutes you’ll hear the tongue fall into a bucket of blood. This particular moment is pretty tame in comparison to other parts of the game. Yet it’s a testament to just how good Book of Shadows is at doing what it is trying to do. I think you’d be hard pressed to find a game that is THIS good at eliciting feelings within you at the expense of the character’s pain. The quality of audio design doesn’t end there. Book of Shadows does a tremendous job of setting atmosphere almost purely with its music and sound effects. If you’ve played Corpse Party before then you know exactly what I’m talking about. Putting on some headphones and playing the game will quickly make you feel as if you are in Heavenly Host Elementary. Book of Shadows does it just as well and if not better in some cases than the original game. I can safely say that those of you who enjoyed Corpse Party will enjoy and possibly even love this game because if nothing else Book of Shadows once again nails both the story, the audio design and of course the visual aspect. It’s a game that plays upon your senses in ways that most other games don’t and it absolutely succeeds in doing so. That being said Book of Shadows, while being very similar to the original game, plays quite differently. Book of Shadows puts you into a first person perspective. You’ll pull up a map and choose which area of the school to go to and then explore in a simple point-and-click interface. Usually you’ll come across an item that can be used in another area of the building that’ll progress the story. Book of Shadows is also a much more straight forward game. There’s still places in which you can do something wrong and hit a wrong end but in comparison to the first Corpse Party you’ll likely be okay for the most part without a guide. It’s pretty easy to get the true ending of each chapter and, with the new ability to be able to save literally at any moment (even during cutscenes), it’s now much less of a headache getting all of the endings. (As a side note the game also features a darkening system that, when your character is scared, will raise throughout the chapter culminating in a bad end if you hit 100%. Unfortunately this didn’t really seem to be used to it’s full potential which is a bit disappointing.) In general I think Book of Shadows is just a much more accessible game now. That being said there is absolutely no reason you should play this game unless you’ve already completed the original Corpse Party. Otherwise you will be lost with no possible way of understanding anything that’s going on. Book of Shadows takes place over eight chapters. Each chapter, just as in the first, typically focuses on a different set of characters trying to escape from Heavenly Host. This time however we have chapters that focus on an alternate timeline, chapters that serve as prequels to the first game and a final chapter that takes place some time after the original Corpse Party. This means many of the smaller characters from the original get more spotlight and we learn much more about the back-story for most of the characters. Alternate timelines deliver a sense of deja-vu with a slight twist from chapters in the first game. While the prequels tend to take place almost entirely outside of Heavenly Host. Of course while these prequel chapters are much appreciated for their back-story I did find that they tended to drag quite a bit. And I guess in general if I had one complaint it’s that Book of Shadows has a knack for dragging out certain moments for a little too long. I also think that due to the nature of the gameplay these moments feel like they’re dragging out even longer because you’ll sometimes go upwards of an hour without actually doing much interaction with the game. (Save for maybe hitting the X button once.) 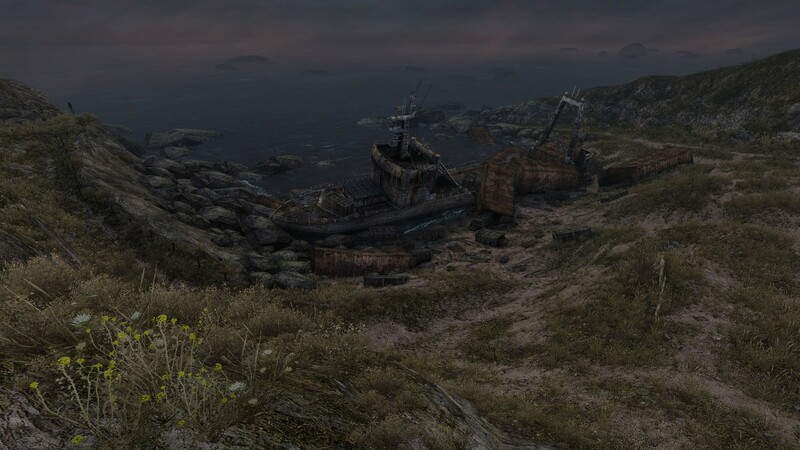 This likely isn’t a deal breaker for people who are going to play this type of game but it definitely did feel like it was dragging in certain chapters. So here I am again, just as I was after finishing the original game, pondering why it is that I actually like Corpse Party. This game is going to leave you feeling terrible, sick to your stomach, and in some ways just numb. I’m not sure I particularly feel invested in the characters and if anything I much preferred the gameplay of the original to the point-and-click nature of Book of Shadows. Yet I think where its strengths lie are in the fact that Book of Shadows is better at making me ‘feel’ some sort of emotion than most any other game in recent memory. There’s no happy ending for anyone who comes to the Corpse Party but that doesn’t stop you from wanting something good to come out of all of this. Even though that happy moment never comes, despite knowing that it’s never coming, it doesn’t change the fact that the ending of each character is just as impactful as the last. And that’s why you come to Corpse Party. You come to be scared, to try to test a fate that’s already been sealed, and to witness some downright horrifying events. Perhaps the same reason many of us just can’t get away from horror flicks. Corpse Party delivers on what fans of the genre desire and it delivers in spades. It’s not something for everyone but for those who enjoyed Corpse Party you’re going to love this and if any of this sounds intriguing to you, pick up both. Moments outside of the school tend to drag a bit. I kind of wish Darkening was used more in the game.